Many of us slip into routines so subtle as to require an observer to bring them to our attention. Like sledding down an icy hill, we find a career or a state of life, and we become settled in or even seek the worldly honors associated with human success. In “The Weapons of the Saints,” Blessed John Henry Newman explains how the Christian’s life should not follow the pattern of the world, but of Christ and His life of humility. That pattern rewards the last as first, commends the lowest as the highest, and honors the poorest as the richest. How, we may ask, can we imitate our Lord and the saints in these ways? The way, the path, is to walk the steps our Lord walked. He says as much when He tells the disciples they are to wash one another’s feet just as He washed theirs. There is even a reward to our duties. For if we imitate Him we will be happy, He says. How backward this looks to the world! 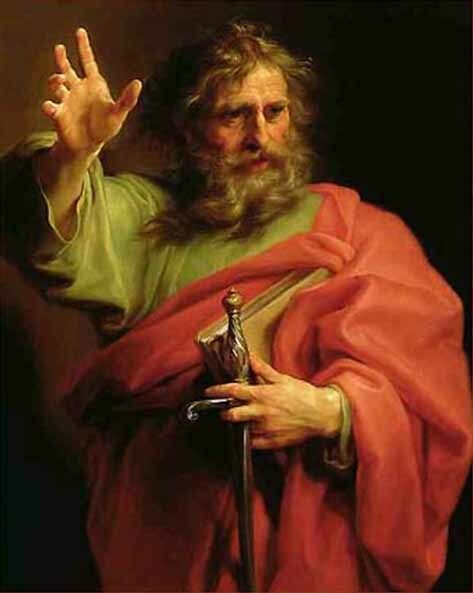 When we are wronged, not only are we to not resist evil, but we are to “take pleasure in infirmities, in reproaches, in necessities, in persecutions, in distresses for Christ’s sake,” as St. Paul tells us. We are told to give good for evil. Naturally, we resist these difficult commands. How can any person give good for evil, and how can anyone think they will conquer by becoming the doormat of the world? Newman tells us these weapons of the saints are the only weapons that will win: “’O hard duty, but most blessed! for even to take into account the pleasure of revenge, such as it is, is there not greater gratification in thus melting the proud and injurious heart, than in triumphing over it outwardly, without subduing it within?’” The weapons of the world can only triumph by force and can succeed only in behavioral coercion, but the weapons of the saints conquer the heart and they conquer it with love. Finally, poverty, which bears disgrace in the world, receives honor in the Kingdom of God. Newman says if there is one thing we can be certain of from Scripture, it is “blessed are the poor.” How desperately we rely on our Lord for everything, all the goods of body and soul! He sustains us by His very presence. Only when we know we have nothing can we attain the beatitude of possessing everything by humility. “Let us then, my brethren, understand our place, as the redeemed children of God. Some must be great in this world, but woe to those who make themselves great.” The last shall be first, the least shall be greatest, the despised honored. Now, in this season of Lent, we can choose to imitate our Lord in His poverty, His dishonor, His humility, His sacrifice. He has never asked us to do anything He has not already done, and He has not commanded us to do anything apart from the grace He provides us to accomplish His commands. Today, we can be truly happy, perhaps for the first time – if we say yes to Him to whom the world says no. Thank you for this very powerful and humbling meditation. This reminds me very much of Henri Nouwen’s writings on ‘downward mobility’. We here in America think that we can ‘have it all’ (or aspire to ‘have it all) and also be like our Lord. And yet no servant can be greater than his master. These are uncomfortable words seeing that my heart is set on conforming to a pattern of worldly success.